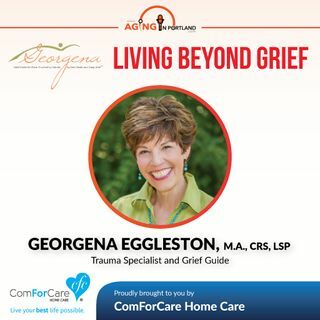 Georgena Eggleston, M.A., CRS, LSP and CEO of Beyond Your Grief is our guest. An author, speaker, and teacher, Georgena has walked the path of grief after losing her son to suicide. She talks to us about the tools of Mindful Grieving and Intentional Mourning for the bereaved. Her book, A New Mourning: Discovering the Gifts in Grief, is available now at Amazon.com and www.beyondyourgrief.com.